Eskendash took an unusual route to his Flat debut but he shaped like a promising all-weather prospect with a win in the 1m3f maiden. A son of the 2010 USA Grade 1 winner Eskendereya, Eskendash has had four starts in bumpers previously, finishing second each time, and he made steady progress through the field after making a sedate start in Wednesday's contest. Sent off the 5-2 favourite, he pulled clear of the field with market rival Chippenham and once he got his head in front, never looked like letting his John Gosden-trained rival back into it, scoring by a neck. "I'm very pleased with that," said trainer Pam Sly. "Adam [Kirby] gave him a very nice ride and I think he could be quite a nice horse. "We wanted to see what happened tonight but we'll keep going with him and hopefully he'll be a progressive horse." Oisin Murphy was one of a host of jockeys who made the short trip from Lingfield to Kempton on Wednesday and he made it pay with an opportunistic ride aboard Sir Plato in the 1m handicap. 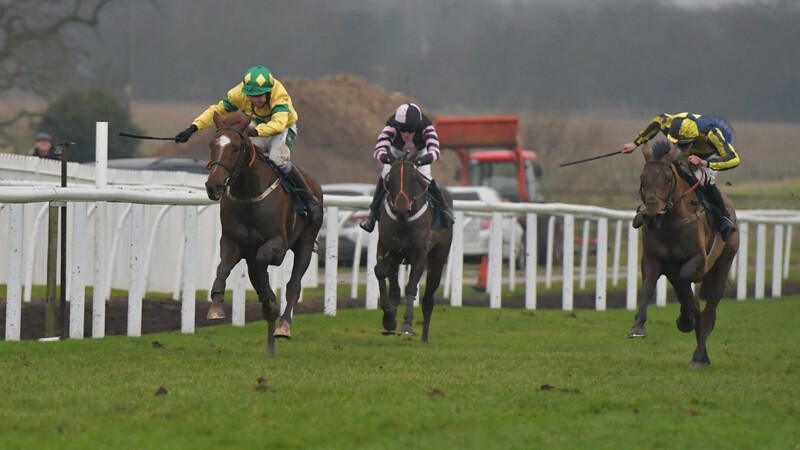 Granted a soft lead, Murphy made his rivals pay as he asked for effort from the two furlong pole and held off the challenge of Whatalove, who finished a length and a quarter behind in second. The 12-year-old Light From Mars almost notched a first win in over a year but was denied by a neck in the 7f handicap. It was 12-1 shot Gulland Rock, under William Carson, who spoiled the party.